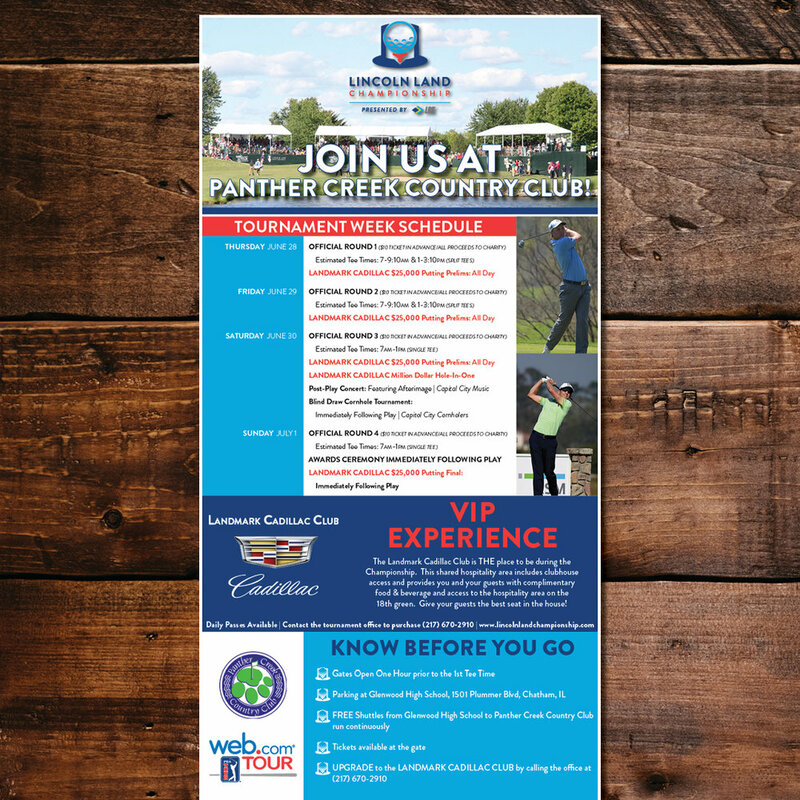 We partner with the Lincoln Land Championship to help with Graphic Design, Content Creation, Social Media Management and other Special Projects. We provide photography services for the tournament, social media content during tournament week and live tweet the final round. We provide graphic design services for much of the sales collateral, signage, volunteers, badges, digital media and most of the print media for the tournament.